The acquisition is intended to boost Atos' cyber security services and strengthen its IoT offerings. In an effort to boost its cyber security services to meet growing demands, the French IT services firm Atos has offered to buy the world's largest manufacturer of SIM cards, Gemalto for $5.6 billion. With the increasing number of cyber attacks on the Internet, the deal would allow the company to improve its own digital security and European payment services while strengthening its developing Internet of Things (IoT) division. At the same time, Gemalto has been under pressure this year after posting four profit warnings and failing to secure a large acquisition which would have greatly boosted its security business. 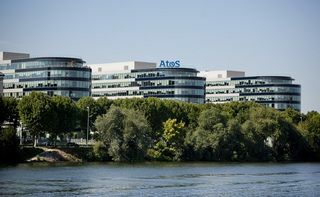 Atos presented Gemalto's board with an offer on November 28th after which Atos Chief Executive Thierry Breton then received the backing of the company's largest shareholder, France's state-owned investment bank Bpifrance. The deal will still need to be approved and we will likely hear more once the acquisition is complete.